On September 26, 1987, the first episode of “Star Trek – The Next Generation” aired in the U.S. That was when most people were introduced to Jonathan Frakes, the actor who played Will Riker, the first officer of the Enterprise D. Frakes will be coming to Pensacola this month as part of Pensacon 2019. Before he took off to where no one has gone before on TV and the big screen, Frakes played another legendary hero: Captain America. However, it was in a much less glamorous setting. "That was one of my first jobs. I used to go over to 525 Madison Avenue, the home of Marvel Comics. And Stan Lee's entourage sent my buddy Charlie Davis, who played Spiderman, and I out with these costumes, that we had to sign out, and we'd get on a flight to Omaha, Nebraska and go open a couple of comic book stores and Seven Elevens. (We'd) ride in on the hood of some rental car and I'd hold the garbage can lid that was meant to be the Captain America shield, and we'd ride into the parking lot of the Seven Eleven. Those were the good old days. During this same era, we were invited to the White House. And we appeared at Rosalyn and Amy Carter's Environmental Lawn Party at the White House." Yes, a picture of that does exist, click here. Frakes says he got involved with Star Trek after seven auditions in six weeks. "(I) wore the same shirt to each audition. So by the end of that two months that shirt was pretty rank." That's right, he never washed the shirt between auditions. "I was a little superstitious, like a baseball player, and I was pretty sure that that was my sci-fi shirt. It served me well." During that first season of ‘Star Trek - The Next Generation,’ the cast became fast friends. "There was chemistry from the get-go. I don't know how we were so blessed. A lot of us were unknowns. The only people who were somewhat famous (were) LaVar (Burton, who had) obviously done ‘Roots,’ and Wil (Wheaton) had been (in the movie) ‘Stand By Me.’ The rest of us were actors looking for a gig, and the gig that we got changed our lives." The camaraderie of the cast led to some rowdiness on the set. Call it legendary rowdiness. "It was insanity. It upset more than one director. I was like herding cats, cats in spacesuits." Frakes knows what it's like being a director on set. Although he still takes the occasional acting job, he has more or less become a full time director. He says he got the directing bug early in that first season of Next Generation. "I started to shadow the directors about midway through the first season, when I realized that there was going to be an awful lot of sitting around on this job. I also took a look and thought that, frankly, the best job on the set is the director who is involved in every shot and every decision. In the third season they finally gave me a shot. It's the best job. And I'm better at it than I ever was as an actor and I'm quite grateful that I learned another craft." One of the episodes that Frakes directed was the season 5 episode called Cause and Effect. The plot followed the crew as they were caught in a time loop (hey, it's Star Trek!) and relived the same day over and over again. In the course of the episode, the same scenes had to be filmed over and over with subtle differences. (The Enterprise also exploded four times). Over the years, Cause and Effect has become a fan favorite. "I'll tell you a little bit about Cause and Effect. Brannon Braga, who wrote that (episode), we'd become friends, and I thought that he sent this script down (just to see my reaction). I thought it was a joke that each act was the same. But they said no. It was like a directing exercise. You just have to find a way to shoot each act differently." You would think that if he were directing an episode of the series, his character would likely not be in that episode very much. Well, you'd be wrong. "No, (actually) it's easier if Riker, or whoever (else in the cast) is directing and acting at the same time, doesn't appear in the episode before, which is the seven shooting days before you start shooting. So that you can actually prepare to shoot. It's easier to be on stage and act and direct than it is to be prepping during an episode that (appear a lot) in." "I was reaching out (but) it's like acting, you get pigeon-holed. But Leonard Nimoy, I believe, is credited with (saying) 'It's better to be type cast than not cast at all'. But as a director I was type cast as a sci-fi guy or a green screen guy or an action guy or whatever that genre was. it was a bit of a struggle to get considered for other jobs but I was fortunate enough (to break through). And now, ironically, my best gigs are on Star Trek shows. I'm doing (Star Trek) Discovery and I hope to do (the new Patrick Stewart series) Picard and I'm doing Seth (McFarland's) show ‘The Orville’ and I do ‘The Gifted,’ which is an X-Men show. So I'm back in the genre." 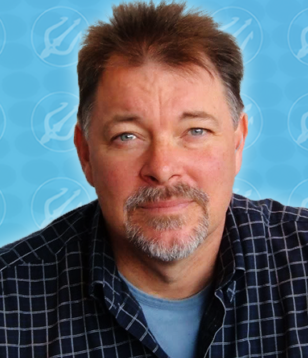 Jonathan Frakes will be coming to Pensacola as a guest at Pensacon 2019, February 22 – 24 at the Bay Center and all over town. He says hearing from his fans can be very rewarding. "I've been doing (conventions) for 32 years. What I believe fans want is contact. They come and they get an autograph, they have a photo op, they ask questions obviously, but they want to have contact. And if they feel comfortable, they'll share with you something about the show. So, I've always felt my responsibility is to give the fans some kind of positive memory of having some to this convention and spent their time and money to do it. It's the great joy of doing them. I mean it's fun to see your friends and make some money but the real joy is in watching and listening to the stories. 'I chose to be an astronaut because' or 'the only time I ever had really good contact with my dad was when we watched Next Gen' or 'when I was in Kuwait we had DVDs of the show and it helped us get through a horrible time'. These (are) the stories you hear, and they're so honest it really makes the convention." 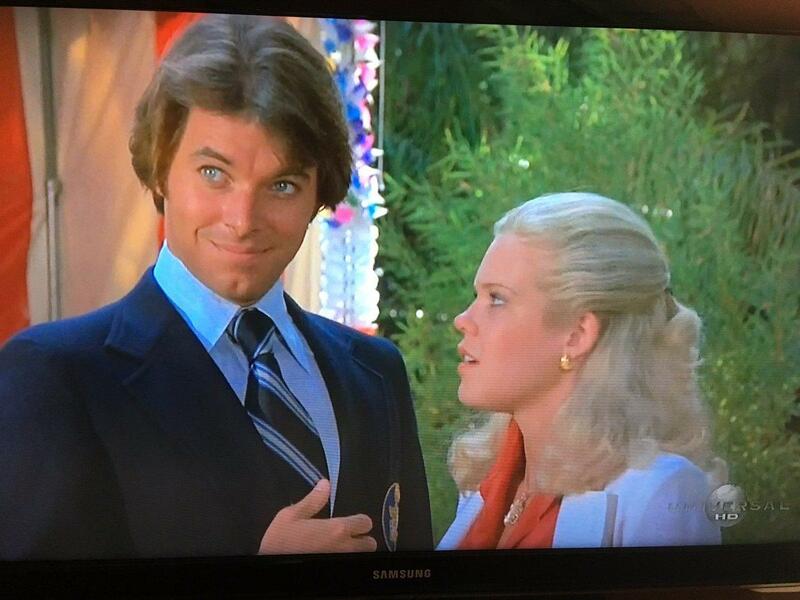 Jonathan Frakes and actress Christopher Norris in a 1978 episode of Fantasy Island. Frakes played a character named Kirk Wendover. Enjoy. Credit Jonathan Frakes Twitter Page. During the interview, Frakes was reminded of an appearance he made years ago on the TV series “Fantasy Island” with famed Star Trek villain Ricardo Montalbon. In the episode, Frakes played a character named Kirk. "Really? No! I wish I remembered! That would be a great story!" Perhaps he'll tell it later this month at Pensacon.